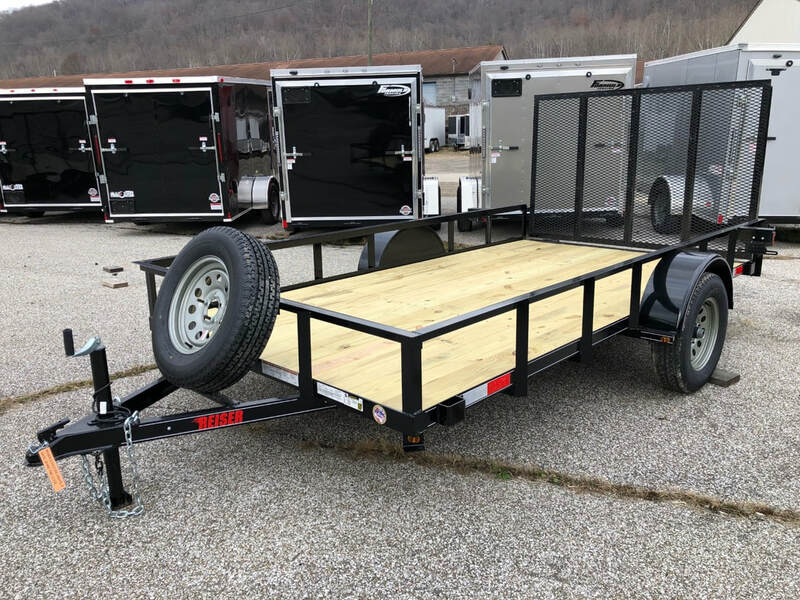 6.5x12 with 4' rear gate, LED lights, spare tire, treated deck. 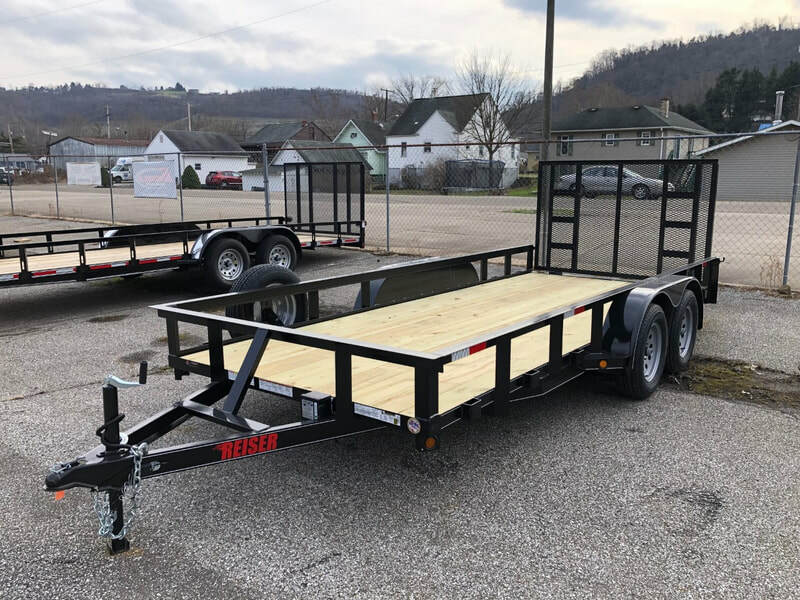 $1750 Out of stock. 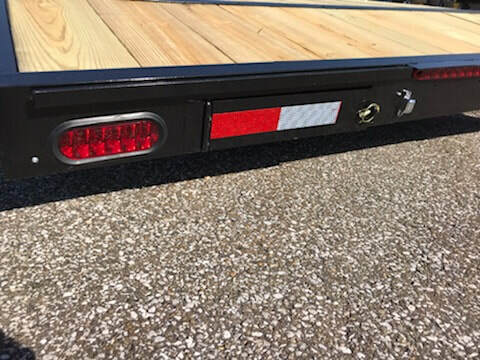 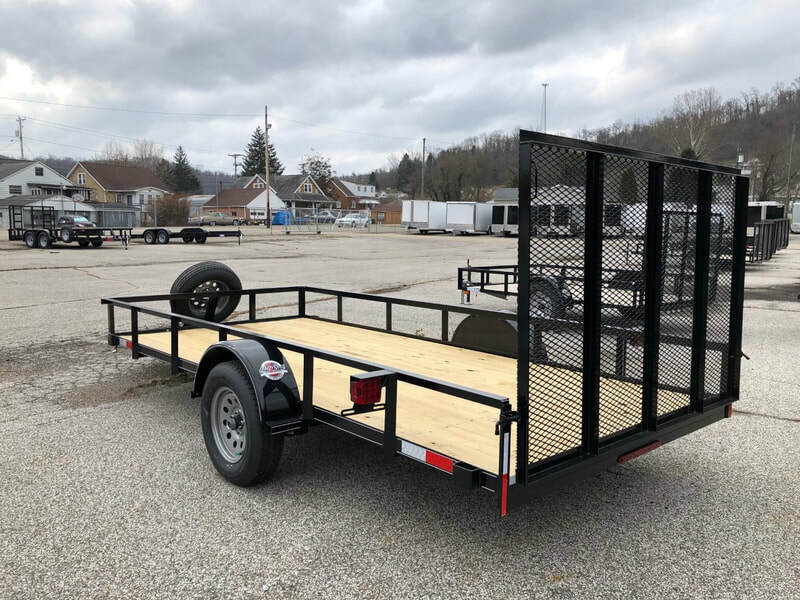 6.5x14 wtih 4' rear gate, LED lights, spare tire, treated deck. 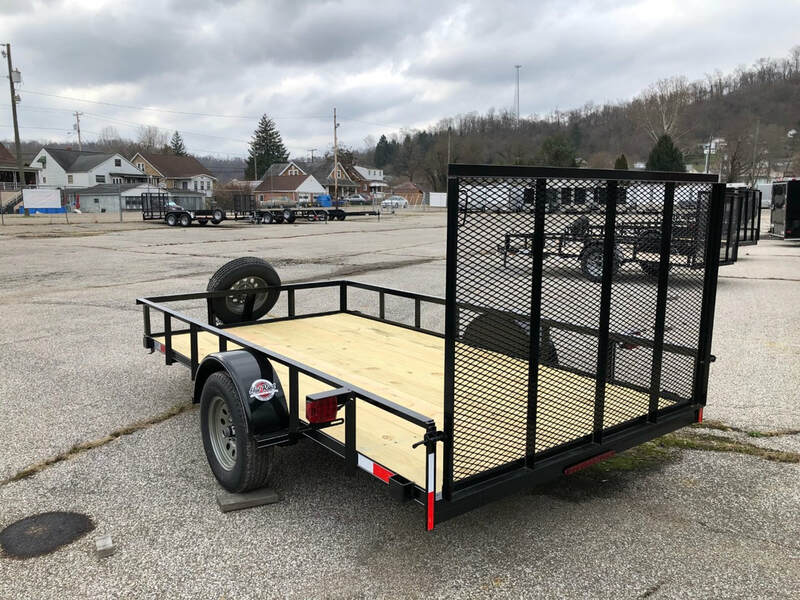 $1850 Out of stock. 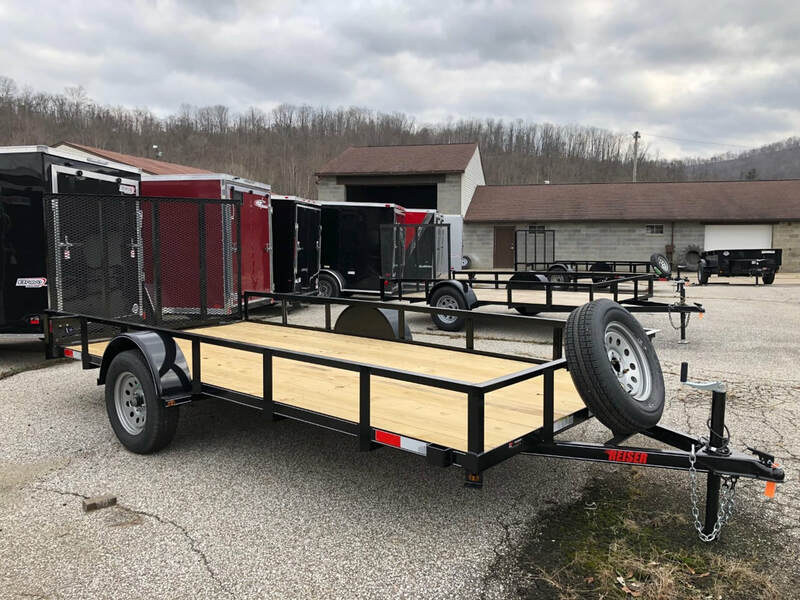 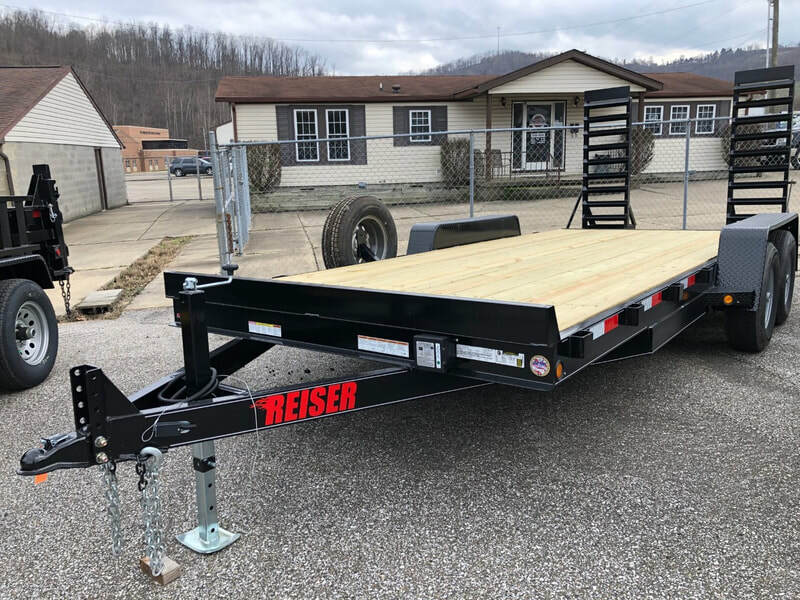 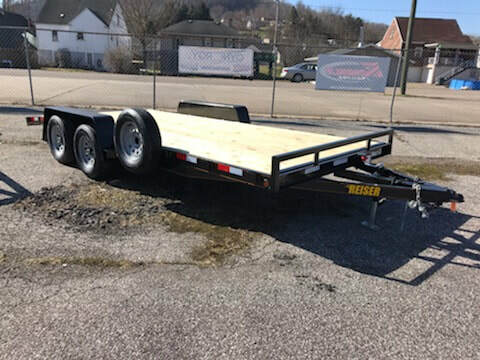 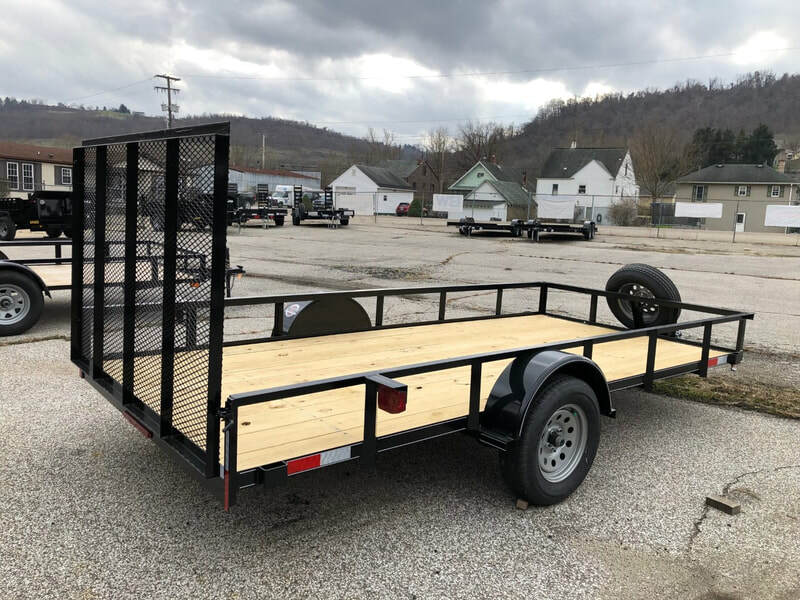 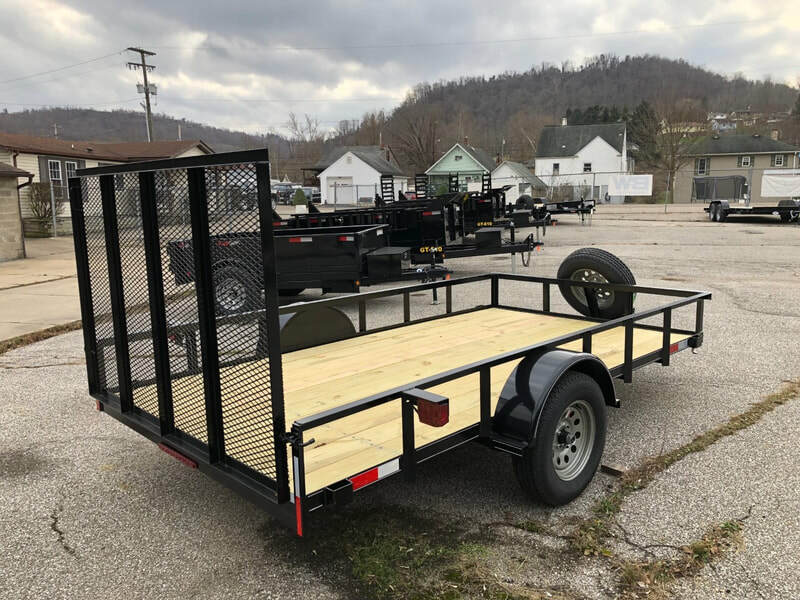 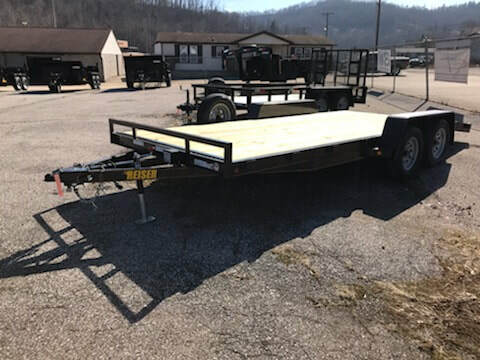 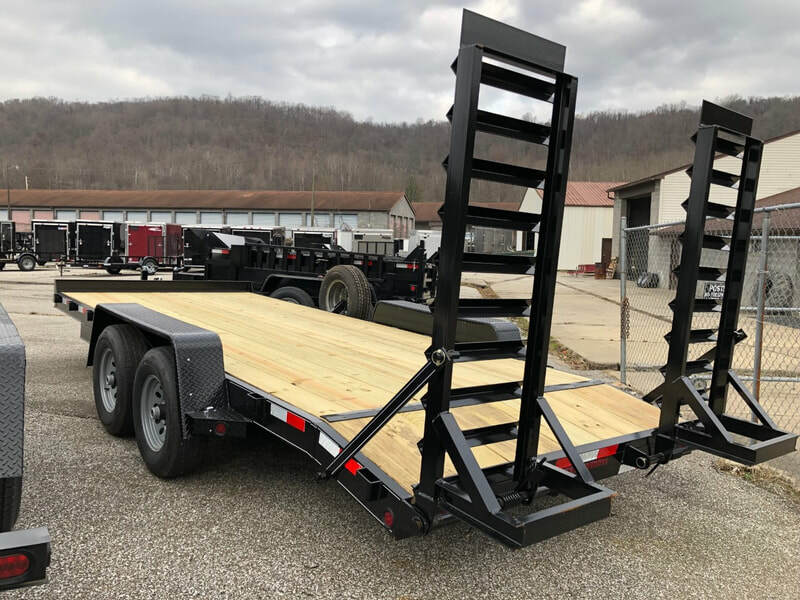 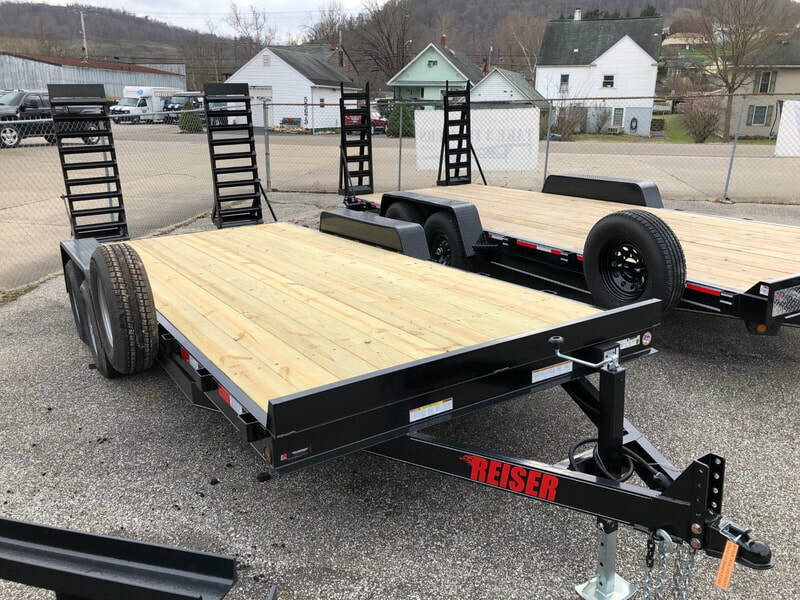 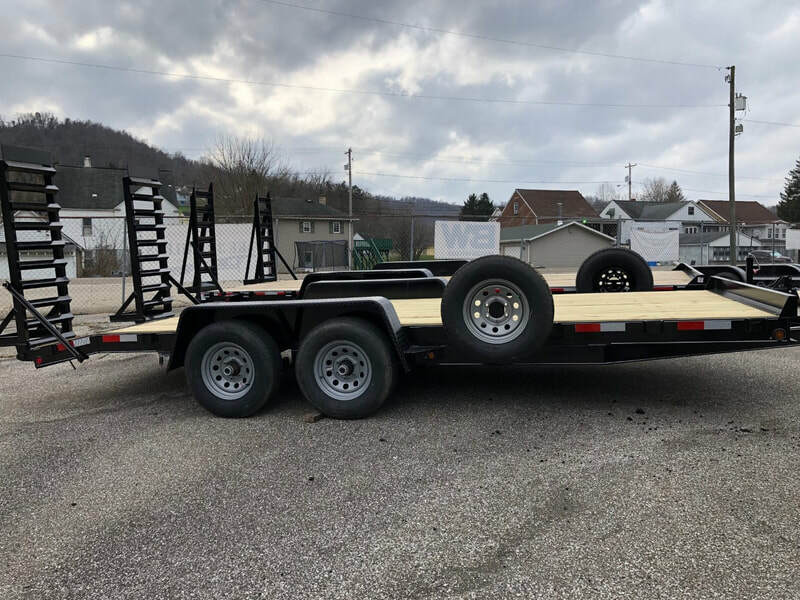 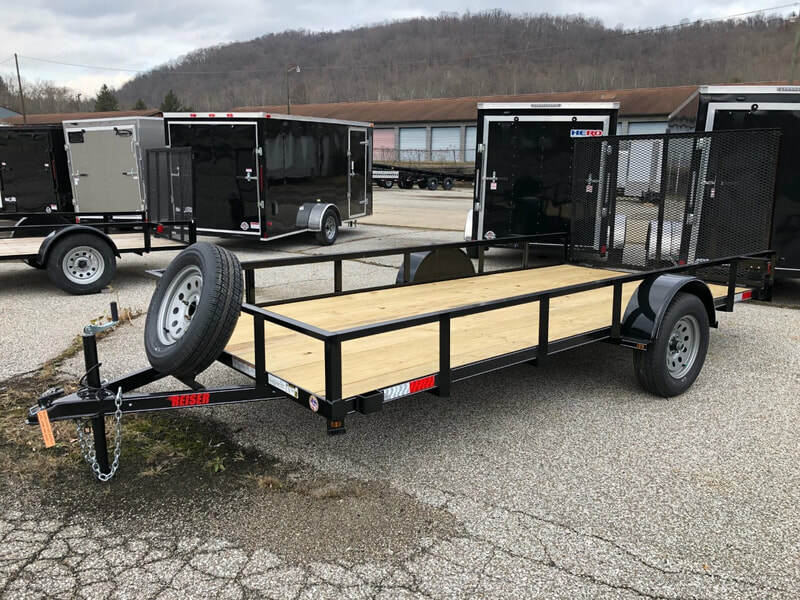 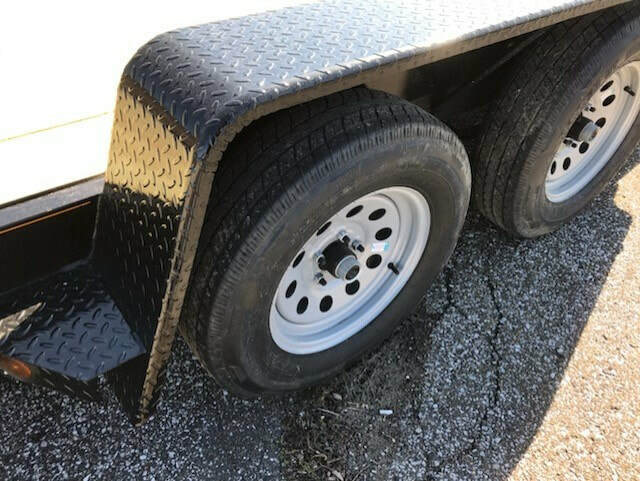 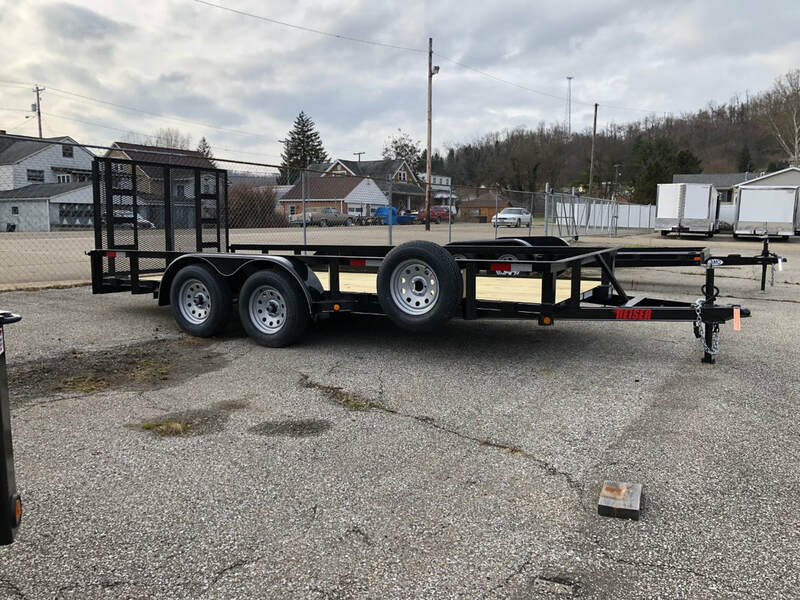 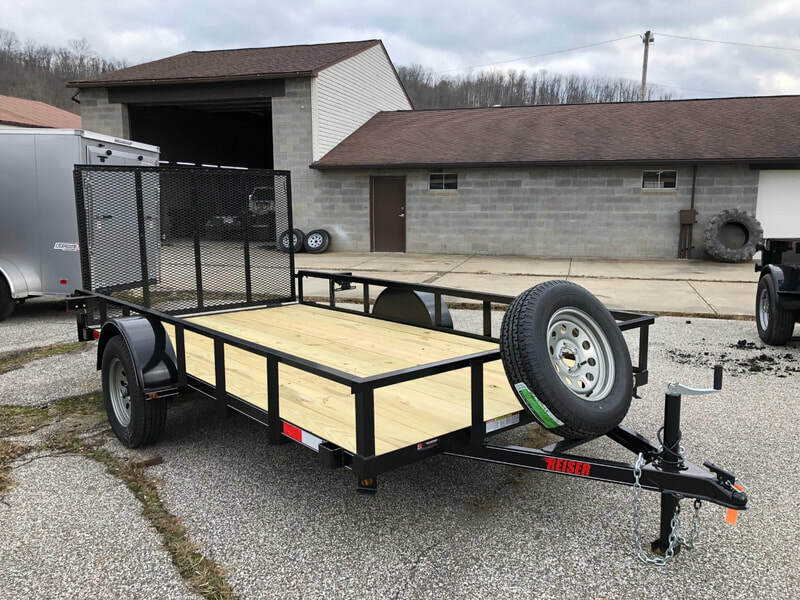 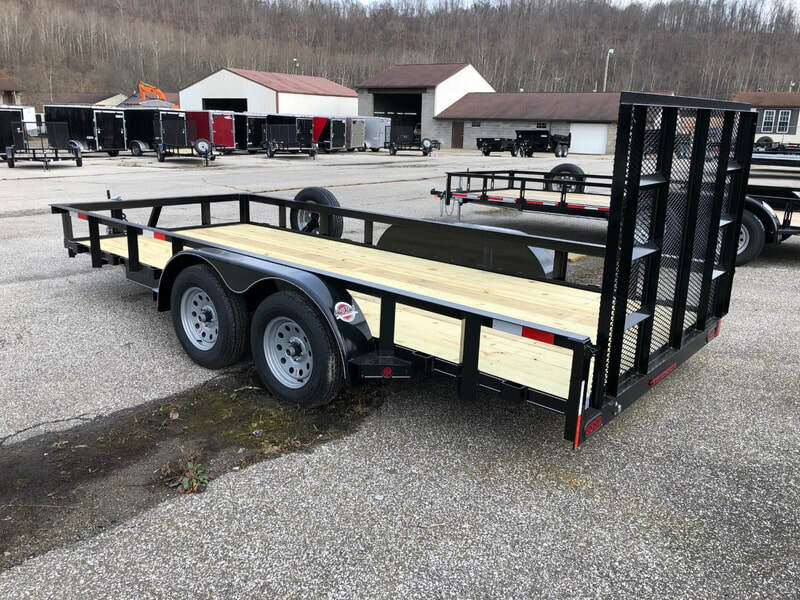 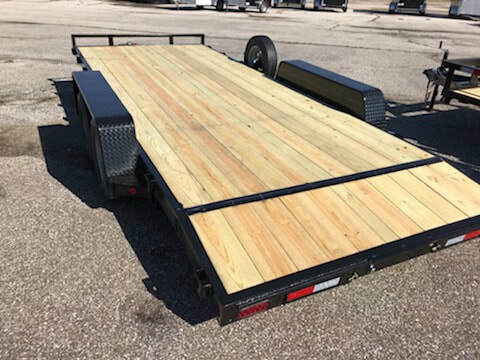 7x16+2 equipment trailer, 5' stand up ramps with spring assist, HD dropleg jack, adjustable level coupler, HD diamond plate fenders, LED lights, spare tire, treated deck. 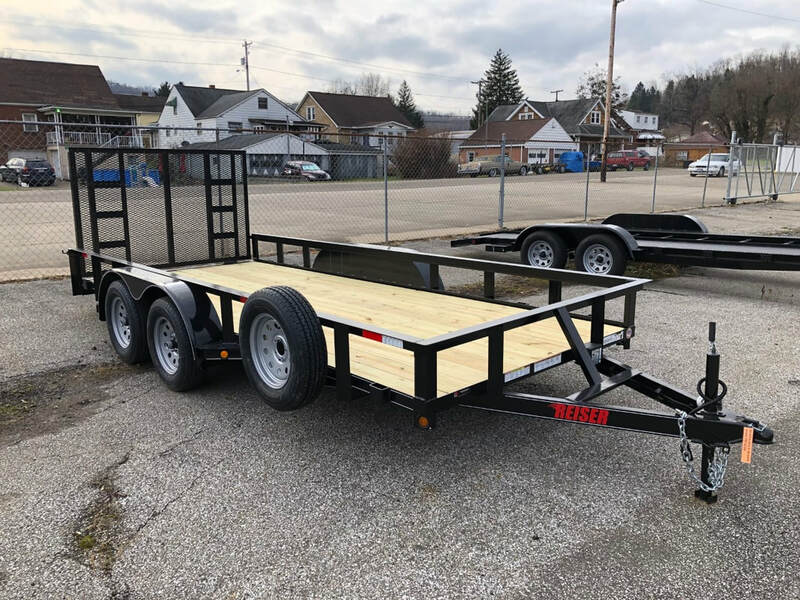 $3900 Out of stock. 7x18 car hauler, 2 brakes, rear slide out ramps, swing up jack, diamond plate fenders, ez-lube axles, LED lights, spare tire, 2x8 deck. 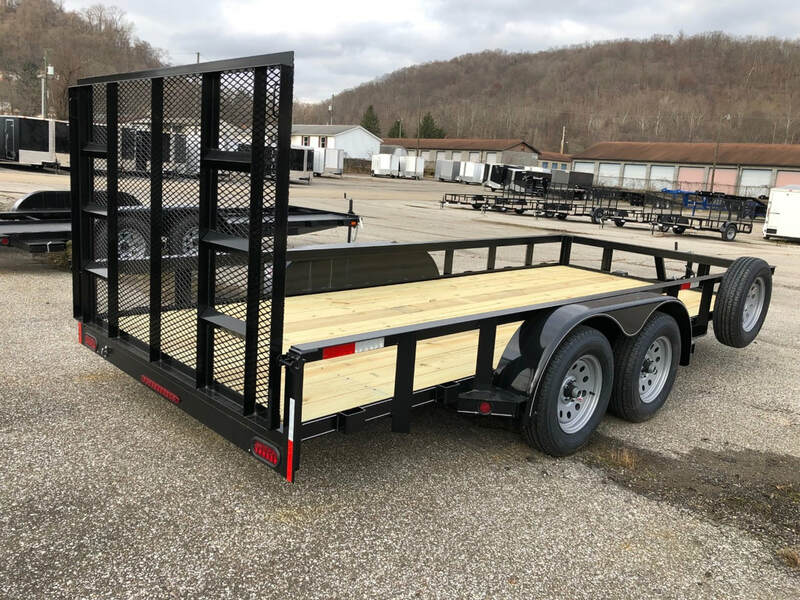 $3100 Out of stock.